This card was made by one of my roommates, Amy Johnson-Fiskness. My other roommate was Amy Fink so I jokingly referred to them as "Amy Squared" and the nickname stuck! Other people started referring to them that way as well. I hope they don't mind. Amy Johnson-Fiskness is Amy Fink's downline and Amy Fink took over Amy Johnson-Fiskness' position at their other jobs after she left. Sounds to me like they are pretty connected! Amy used Basic Gray and Whisper White cardstock and Night of Navy and white craft inks. 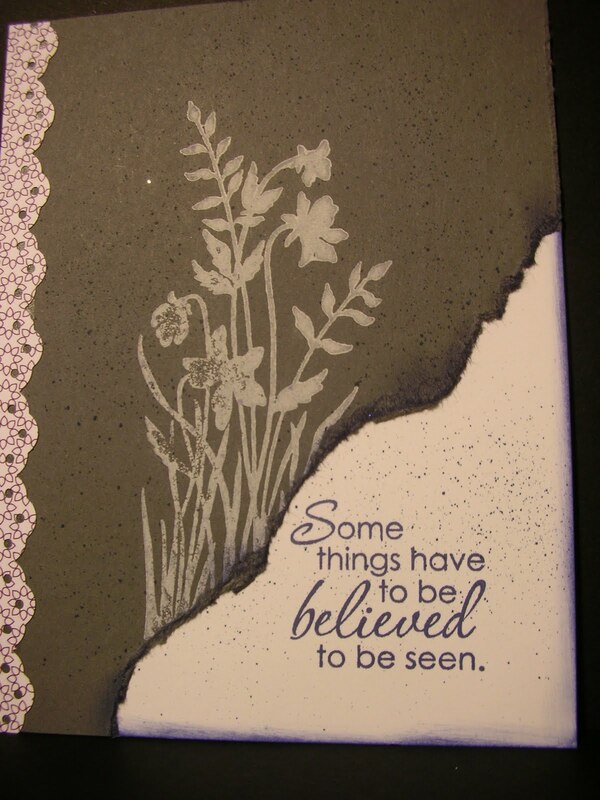 The stamp set used is Just Believe.